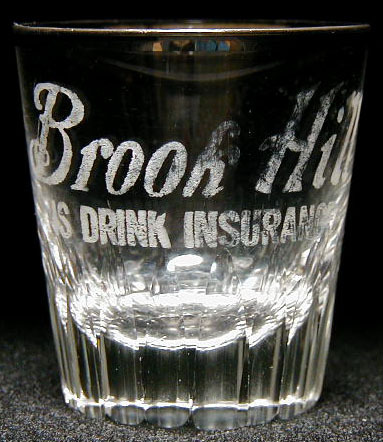 One of the VERY few pre-pro glasses with a silver rim! Rare Paducah glass! Dimensions: 2-1/8" x 2" x 1-5/16"
Condition: Label is very patchy it looks like a manufacturing problem. The glass is in nice condition otherwise.